Rachel is 100Creations on Ravelry, Instagram, Pinterest. 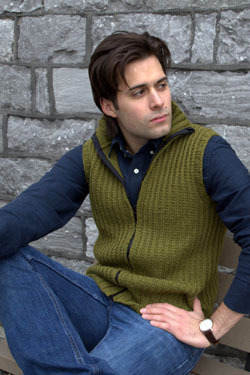 You will hear about new patterns, yarn, and various reviews from the yarn world. A finished item from earlier this year. It was a secret until it release. A cute toy from a book you may remember reading as a child. A crochet pillow you will want to make now for this winter. This is the River Rose Pillow Cover. I love square. Wouldn't it be great to have those flowers warming up your room this winter. (Yes, it is coming). 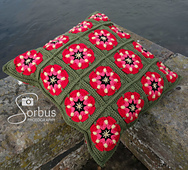 It is also a great block for anything else you would use granny squares. What would your granny squares become? Remember Paddington Bear? He was always getting into trouble. 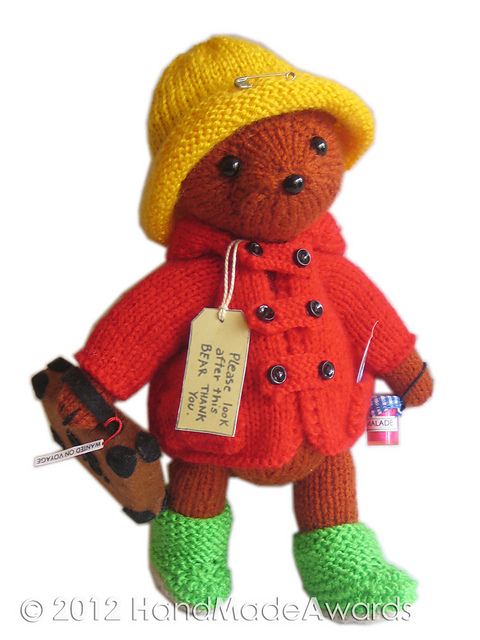 Make your own Paddington Bear and be ready for adventures. The tag is so authentic! Pattern is here on Ravelry. If you like listening to people talk about knitting, you might want to listen to the Knit More Girls podcast. After reading the reviews on itunes, I wasn't sure I wanted to listen. Finally I subscribed. They each talk about knitting and various yarn related activities, and have frequent contests and giveaways. Why don't I still subscribe? Mainly because I want my listening to be informative. Then long commercial like information from the sponsors didn't make me want to stay either. The reviews were to harsh, remember they are from several years ago, but this one isn't for me. The winner of last weeks Swarovski Coral Focal Bead is McKayla K. Congratulations! Giveaway for a free pattern to Sarah's Shawl ends Wednesday August 12, at midnight. Enter Now! Winner will be announced on the blog post and in next weeks happenings. Huge sale of magazines, book, and booklets is still going on. Check out, share it with your friends. Now selling on Etsy! If you want to sell there too, click here for 40 free listings for us both when you open your store. This post contains affliates links. Thanks for supporting my blog. Visit 100Creations's profile on Pinterest.